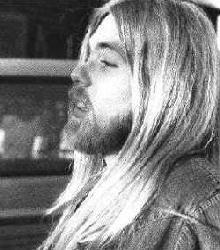 In the early 1960's Gregg Allman worked in a wide variety of unsuccessful bands across the U.S., many with his brother Duane Allman, before finally both moved to Georgia and formed The Allman Brothers Band. Initially successful only in the South, the band managed to expand its popularity through extensive touring. The subsequent course of the band proved to be tumultuous in the extreme, beginning with Duane's death in a motorcycle accident on 29 October 1971 and continuing in constant personality clashes, line-up changes, competing projects between members, and Gregg's well-publicized marriage to Cher. Gregg has pursued an intermittent solo career throughout the various Allman Brothers' shenanigans, most successfully in 1987 with the song I'm No Angel. He has continued since to alternate between solo and Allman Brothers' projects.